This week’s look is a bit different, yet typical of me at the same time. How? Well, I did a smokey eye (my favorite) but I did not put use liquid liner to create a wing *gasp* I wanted to do something bold, yet simple and affordable since someone suggested a Fall eye with a berry lip. I also wanted to play around with a few of the new Wet n Wild palettes. If you follow me on Instagram (and you should, I post 1-2 times a day on there) I swatched the new Sphinx Mix palette by Wet n Wild from their Halloween display. For those asking, I found it at my local Walgreens. Base: My face has been really dry since I’m having sinus issues, so I am actually using both the Too Faced HangoverX and Laura Mercier hydrating primer on my face. It was needed, trust me. Foundation: I have on the Nyx Invincible foundation in “fair” mixed with the Tarte illuminating serum. I am obsessed with this serum, it makes all of my foundations look great on my dry skin without taking away coverage. Powder: I actually set my face today with the Physicians Formula Oxygen booster powder in “translucent” instead of my Luara Geller one. This powder isn’t as white, but it does have a nice satin sheen to it which lays well on dry skin. Concealer: A mix of Nyx’s HD lavender concealer and LA Girl’s porcelain concealer. 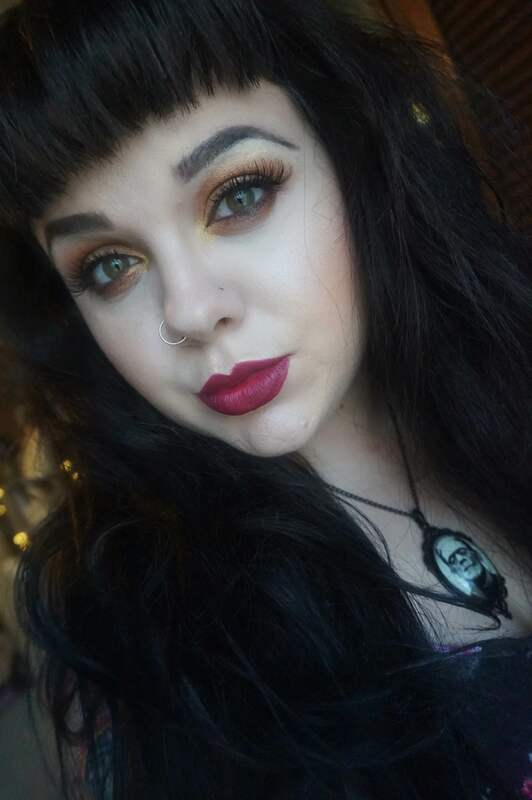 I really needed a bright undereye today because I looked dead. 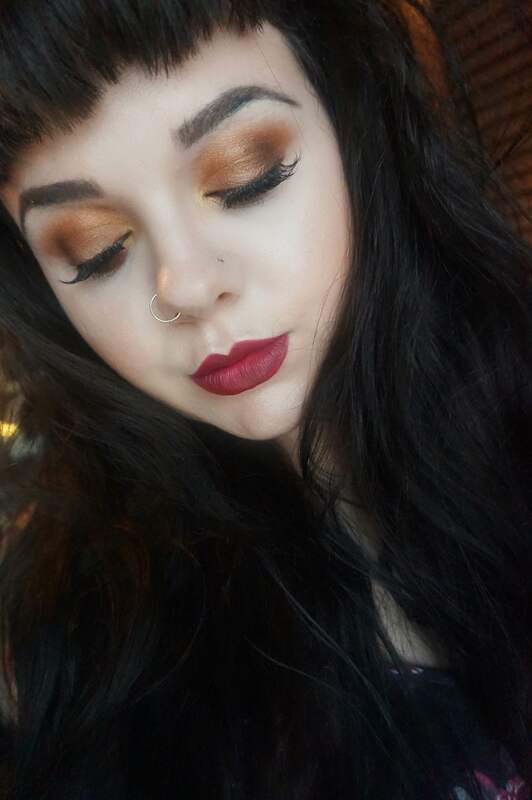 Contour: Wet n Wild’s “Caramel Toffee” due contour palette on my cheekbones and down my nose. 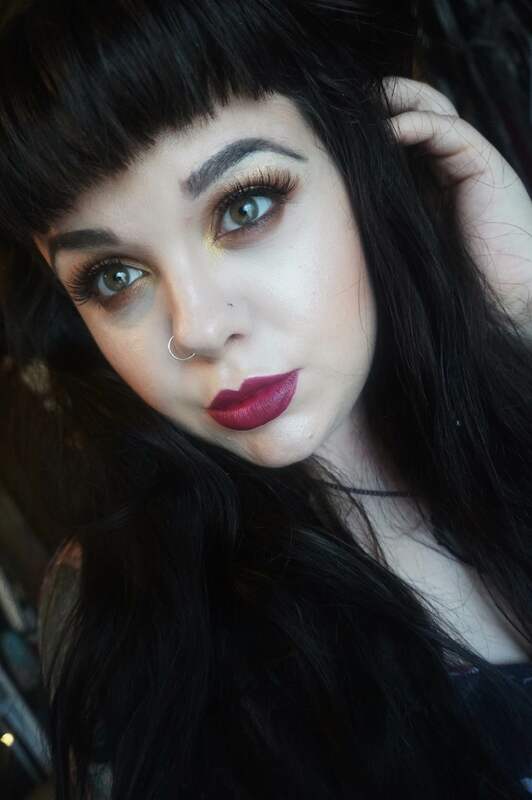 Bronzer: Tarte’s ‘Park Ave Princess” which I got in my Ipsy bag. I just feel this bronzer adds a nice amount of warmth to my face without looking too intense. Blush: Milani’s “Luminoso” I’m so sorry, I will try to switch it up soon. Brows: Nyx’s brow gel in “Black” set with their brow mascara in black as well. 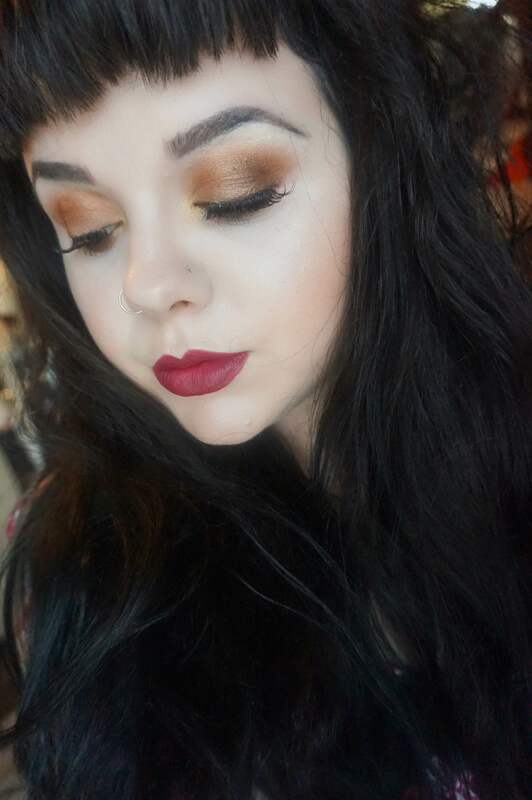 Lids: I used the “base” shade all over my lids to set the concealer from the Melrose Face palette. I then used “Oatmeal tan” by Coastal Scents as my transition shade and took ‘Oktoberfest” on a smaller crease brush below the transition shade. 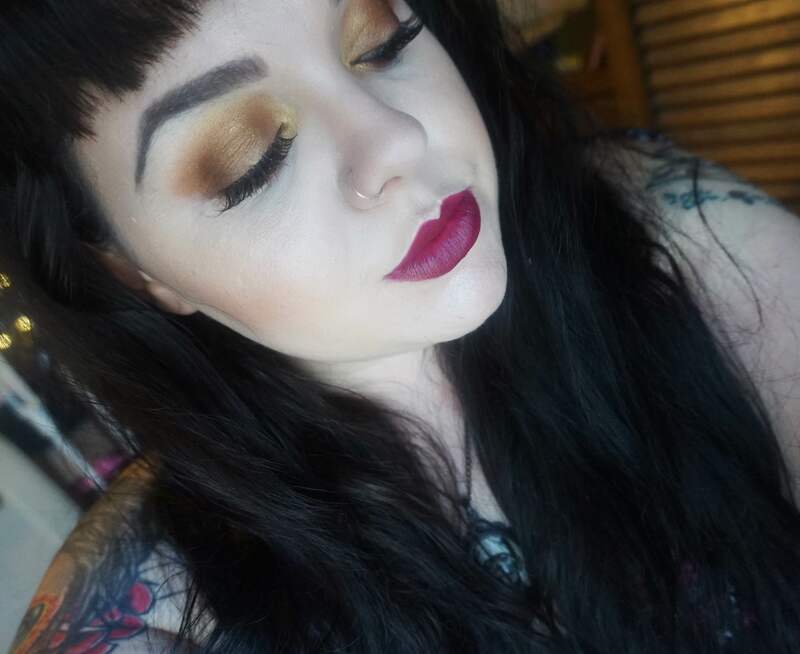 I used the “Definer” shade from the Sphinx Minx palette on my lids and then took the orange-y base shade from that same palette and put that back into the crease lightly. I normally don’t use sparkly shades in the crease, but today is different. I really wanted a metallic type of look. I took the dark brown definer shade in the Melrose Face palette and placed that on the outer-v of my eye to give the look some dimension, and took the white base shade and highlighted my brows with it. Lower Lash Line: I took the definer shade from Sphinx Minx on a flat brush and smudged the liner out and then blended everything out with Oktoberfest. Lips: Colourpop’s “LBB.” I normally would have paired this look with a brown shade of some sort, but I actually like how the berry shade contrasts with the eyes. 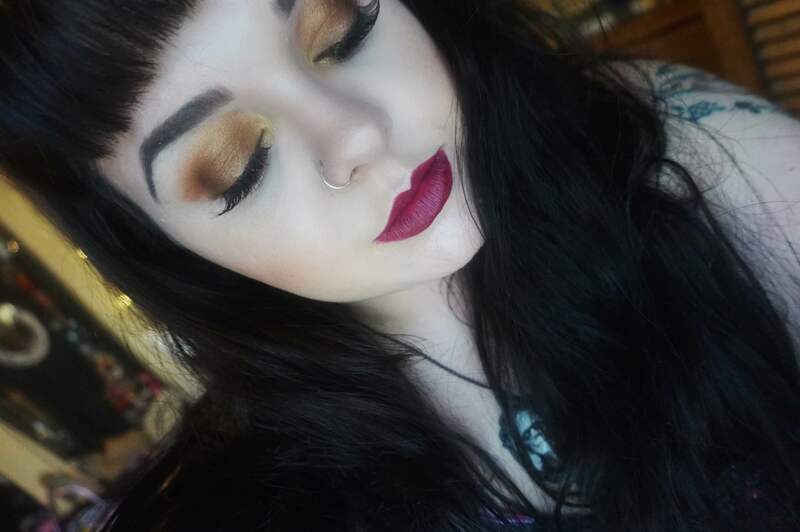 That’s all the details for today’s Face of the Day post! I feel like I look like a badass candy corn mom, or maybe that’s just in my head. If you’re wondering where my septum ring is, I have a retainer in while my sinuses heal. No one likes a snotty septum ring. I hope you all enjoyed today’s post! If you have any requests or ideas, let me know! Your makeup looks incredible, and you are so gorgeous! 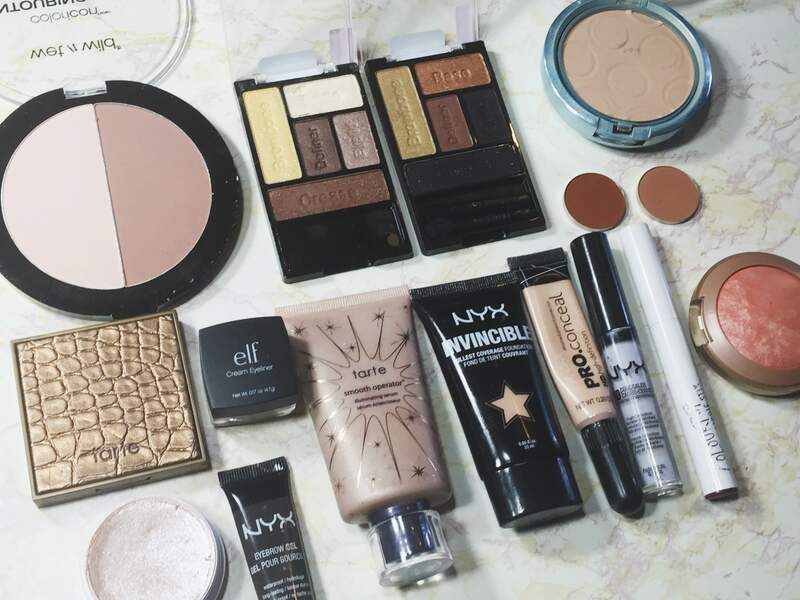 Great post- I use some of these products so i really enjoyed reading! What a lovely post to read, You look lovely! Thank you! I bet Luminoso looks awesome on you, I have honestly not seen it look bad on anyone yet!